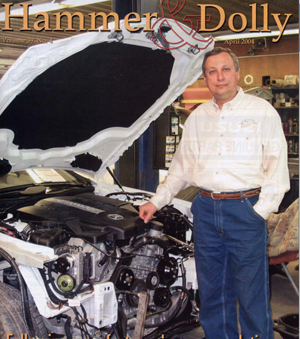 In the April 2004 issue of Hammer & Dolly magazine, Auto Collision Specialists was featured in an article covering the issue of using a dedicated fixture bench in collision repair. Many automobile manufacturers require that specific types of auto body frame machines be used to repair their vehicles, but getting insurance companies to pay for the equipment can be a challenge. 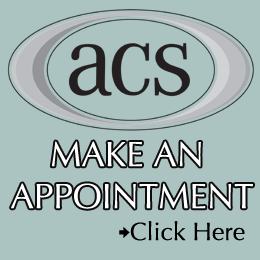 huck Scilipote, owner of ACS, insisting on honesty, integrity, and high quality repairs for his customers, has always used dedicated fixture benches in his repair. Before there even was a Mercedes-Benz certification program, Chuck purchased the Celette, one of the only auto body frame machine approved by Mercedes. It’s this approach to quality and safety in collision repair that led to Auto Collision Specialists becoming Baltimore’s first Mercedes Certified body shop. Read excerpts from the article by Sheila Loftus (2004, April). Cover Story: Benching Vehicles Hammer and Dolly Magazine, volume 39, no. 4, 16 – 18. “Many of the car manufacturers require a dedicated fixture bench to repair damaged vehicles. And most of the manufacturers that do so recommend a Celette, made by the French manufacturer. One collision repair shop owner who does use a dedicated fixture bench is Chuck Scilipote of Auto Collision Specialists in Reisterstown, Md. Scilipote… works on a lot of high-end cars. He owns two Celette benches and has consistently had difficulty getting insurers to pay for the use of this required equipment. Scilipote does repairs by the book – in other words, exactly as the manufacturer says it should be done. He purchases the information from manufacturers if he has to. hen Acura called Scilipote after he’d logged on to its website, he was told he was only the second repair facility to have sought information. In some cases, Scilipote said, an adjuster will cost shift on an estimate in order to pay for the fixture charge. The adjuster won’t write it down, Scilipote said. This prevents a precedent being set. In other cases, Scilipote said, State Farm will pay the customer directly and won’t put it on the estimate. By fixing cars with a Celette, you find damage you would never have found,” he said. In one repair, he said, he dropped a suspension and looked where a jig was to align; he could tell there was still more damage. cilipote repairs vehicles per his invoice, not according to an insurance company estimate. He is critical of direct repair programs. “My feeling is you can’t work for the insurance companies and the customer and keep both their interests in mind,” he said.